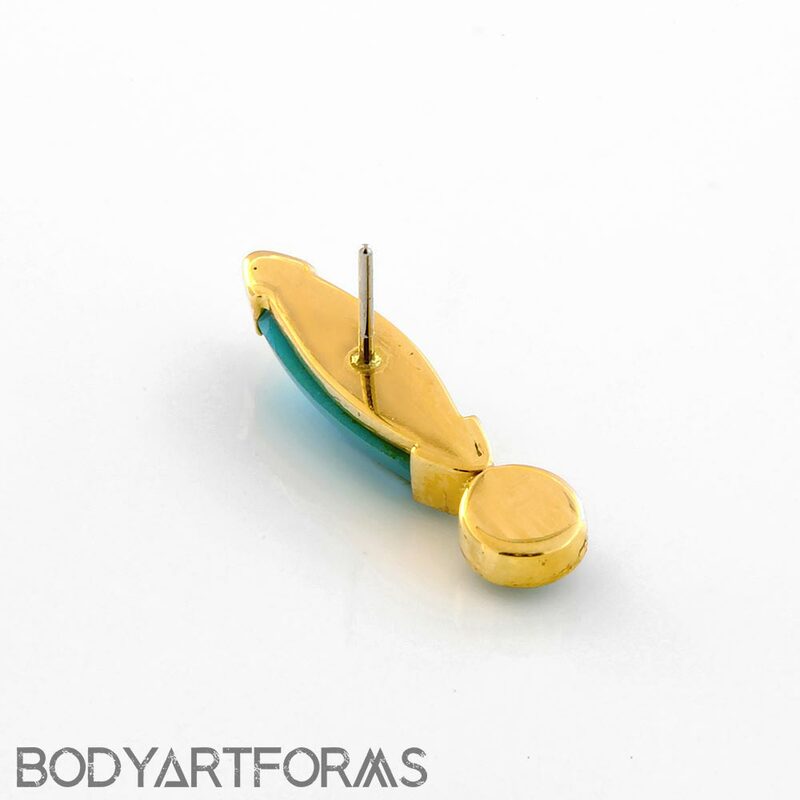 A beautiful threadless end from Quetzalli, this Plume design is made with solid 14K gold and turquoise inlays. Available in white gold or yellow gold. The Plume end design measures approximately 15.5mm tall by 3.7mm wide and has a stainless steel threadless post. 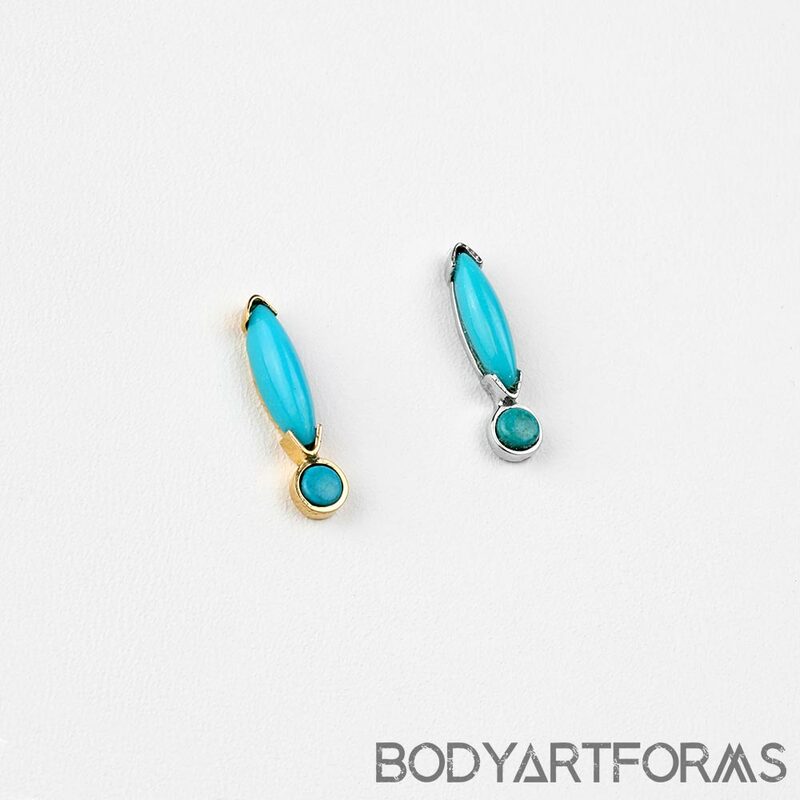 The circle turquoise inlay measures 3mm in diameter, and the oval turquoise inlay measures 10.5mm tall by 3.5mm wide.